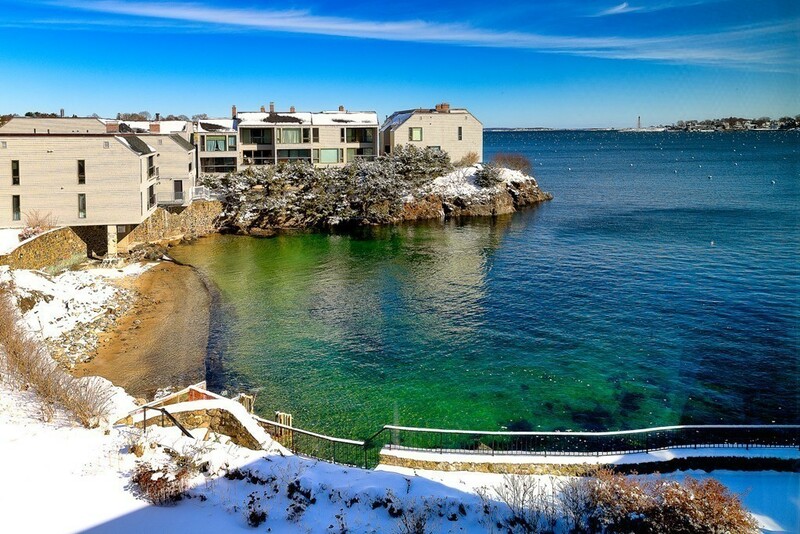 Enjoy fabulous harbor and ocean views from this spacious townhouse condo with private entry! Wonderfully open living/dining area extends to a deck overlooking the garden, beach, and harbor. Tastefully updated kitchen and baths, hardwood floors, and exceptional closet space. All this plus fireplace, attic, storage, parking, use of a sandy beach, dock, and the Ward Room will make you feel like you're on vacation all year round!